The OpenStack project has received an extraordinary amount of support from the developer community since its unveiling four weeks ago. The open source cloud platform has no performance blocks or any other artificial limitations that are sometimes implemented by "open core" projects. Simon Phipps said, "it's probably the most significant advance for open source cloud computing that we've seen so far." 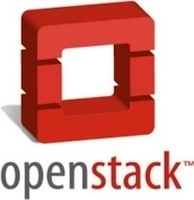 The OpenStack project consists of OpenStack Object Storage and OpenStack Compute. The two projects have received 1,250 code commits and over 55 active branches in the last four weeks. In just three weeks of public development, OpenStack Compute gained support for three hypervisors: KVM, XenServer, and VirtualBox. Additionally, 35 bugs were fixed (the first was reported 8 minutes after the initial launch, and a patch was submitted after 20 minutes!). On average, 130-140 developers are on the IRC channel each day, and more than 30 companies have joined the OpenStack community, including Intel, Dell, AMD, and Citrix. Some new members include Cloud Central, Morphlabs, and MidoKura. OpenStack Object Storage consists of the source code behind RackSpace's cloud storage and distributed computing platforms, codenamed "Swift". OpenStack Compute contains NASA's "Nova" technology from their Nebula Cloud Platform. Licensed under the Apache License v2, this initiative might be the most substantive effort to support interoperability in the cloud to date. The design process and project roadmap are completely open and you can find the project's source code repository on Canonical's Launchpad.